Where should exporters turn when they need help expanding their markets and promoting their businesses internationally? One of the first places I point exporters toward is their local U.S Commercial Service office. We talked with Meredith Bond, director of the U.S. Commercial Service’s Omaha office, who shared with us a bit more about how the Commercial Service can help exporters interested in beginning or expanding their global reach. How does the U.S. Commercial Service work in foreign countries? In addition to the 108 U.S Commercial Service offices in the U.S., there are about 70 offices located overseas, often in U.S. embassies or consulates. The offices in foreign countries work closely with domestic offices in order to help exporting companies of all sizes promote trade and expand their networks. A preliminary assessment of the market potential of your product or service. Feedback from contacts on the ground in your desired market, including their questions, responses and level of interest in your product or service. Analysis and recommendations for next steps. Not only are in-country analysts willing to help you determine if your company is ready to jump into foreign markets, but they also do international company profiles to help you determine if prospective customers are legitimate. This way, you know your customers are capable and trustworthy before you spend money and effort working with them. In addition to helping you find the right international trade countries and partnerships, in-country offices can help you increase brand awareness and market exposure around the world so you can establish relationships with potential overseas partners. Gold Key Service: With Gold Key Services, the U.S. Commercial Service can find, vet and arrange meetings for you with interested partners—potential agents, distributors or other strategic partners—in a foreign market. With this service, the Commercial Service can ensure your meetings are productive and informative. International Partner Search: The International Partner Search service saves you valuable time and money. With it, the Commercial Service identifies prospects that match your needs and provides you a list of companies interested and capable of becoming a viable representative in that market. The Commercial Service also offers promotion and features in the U.S. Exporter Directory to help exporters boost their profile to prospective customers in foreign countries. The U.S. Commercial Service’s in-country offices are established and credible. Not only are the foreign service officers at in-country offices trained to help exporters, the offices also employ a local staff of specialists who have knowledge of culture, language, industry, politics and more. These services are extremely affordable, especially for small and midsized businesses. Fees range from $450 for an International Partner Search to $700 for Gold Key Service for small and midsized companies. Customized services are also available. Considering what you get for the expense versus, for example, hiring a private consultant to do each of these things, utilizing the Commercial Service should be a consideration for all exporters. When small businesses have access to the information they need to begin trading internationally, companies, communities and the United States as a whole become more economically healthy. To begin working with the U.S. Commercial Service and their in-country offices, first contact your local office. They will ask some questions to see how they can best guide you and serve as your advocate and make sure you’re serious about entering foreign markets. They’ll serve as your advocate, working with in-country offices to help you assess the market, meet potential contacts, and put you in contact with who to talk to locally. They’ll work with you, your contacts, and potential partners overseas to make sure you’re well-prepared and informed to make decisions that will help your company grow. Country Commercial Guides: These free guides are an excellent overview of the political and economic environments of more than 125 countries. They also provide information about market entry, overviews of countries, and information for specific forms needed within countries. District Export Councils (DECs): DECs across the country can help exporters by supporting trade and services that strengthen individual companies, stimulate U.S. economic growth, and create jobs. DEC members also serve as mentors to new exporters and can provide advice to smaller companies. Export.gov: The export.gov website is a hub for exporters. 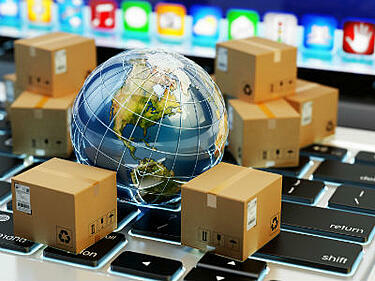 Everything from marketing, to promotion, to compliance, to trade barriers, to trade data is addressed on the website.